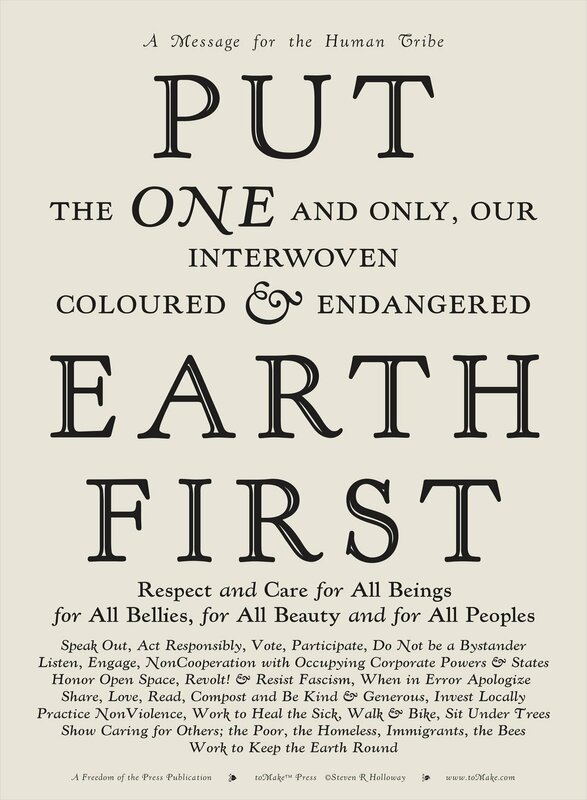 'Put Earth First' is a 18.5” by 25” letterpress broadside on Sakamoto kozo, hand-rubbed, copyright by Steven R Holloway, and designed & produced by toMake™ Press & Editions. Suitable for framing and making a statement about your priorities. Shipped domestic USPS Priority in a tube. S+H not included.